Horse Day was created by Ontario Equestrian in 2008, which makes this our 10-year anniversary! It began as a way for those not already in the sport to interact with horses up close and personal. With its origins of being a single facility run event at Toronto’s Horse Palace located at the Exhibition Place, the event has now grown, with our National Sport Organization, Equestrian Canada now making the first Saturday of June each year National Horse day. 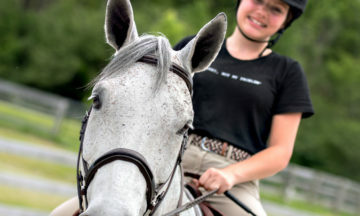 Ontario Equestrian partners with our accredited riding facilities, ensuring that those new to our sport are connected with facilities that have the proper insurance, certified coaches and offer provincial and national programs. Ontario has 12 Accredited Facility Partners who are opening their doors to the public on June 2nd this year to invite you to visit their horses and attend the various events being held. Each Facility Partner offers a unique experience so you may want to visit more than one!